We often talk about new marketing, design, brand and behavioural economics books at Milestone. But this one’s a bit different. At a first glance it appears to be about the challenge and experience of sailing around the world with three young children. That’s pretty interesting in itself. But really, this book is about realising your dreams whatever they are. It’s an inspiring book about leadership, entrepreneurship, strategy, creativity, family and adventure. The story is about an audacious idea that a young family had to change their lives by setting sail around the globe. The first part of the book deals with the plan – how they built a business to fund the two-year trip. The second part is the amazing story of their epic adventure – and how leadership and creativity played a key role in making it all happen and solving many complex challenges along the way. If you’ve ever wondered if there’s more to life, work and business, this book could be the catalyst you’re looking for. Recently published, the author is appearing on Radio 2 this afternoon to talk about his book and adventures. Some of our team worked with Caspar before his life-changing trip. It’s great to see his energy, positive attitude and lust for life now being channelled through his new roles as a public speaker, an author and an all-round inspirer! 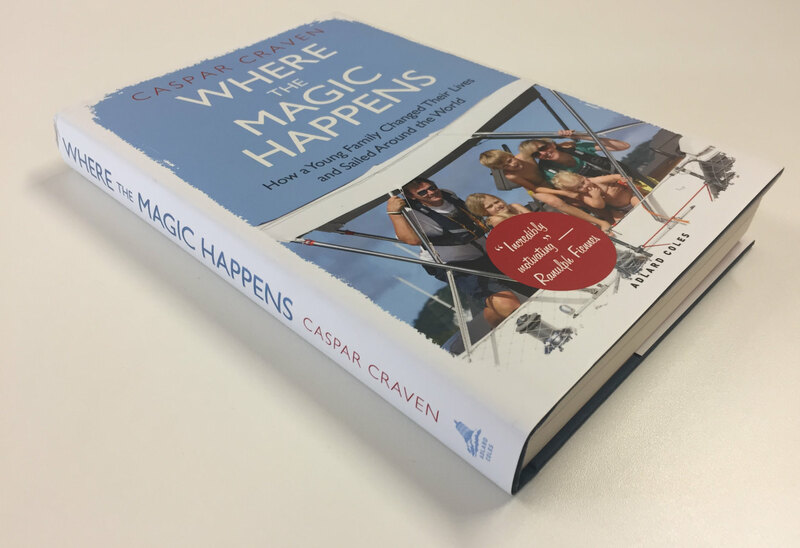 You can read more about ‘Where the Magic Happens’ at the Bloomsbury website. Barn Fest 2019: Line-up announced!